We loved it! Julie & Julia was heartwarming and funny! Meryl Streep and Amy Adams both were perfect for their parts. Go see it! You'll be in the mood to cook and eat. I still don't ever see myself deboning a duck but the butter definitely called to me. Always lovely to go and see a movie that you enjoy, and have a good time out. I enjoyed the movie also....Meryl was fantastic as always. She is amazing! I was a little surprised at the language...but other than that, I really liked it! I didn't feel like cooking though...eating, NO prob!! It was interesting see a different side of Child's from what I perceived of her and I agree with you about the butter!! I'm with you on the duck! Can you imagine back when you not only had to kill your own chicken, you had to pluck it to! I can't wait to see it! Have a wonderful Sunday! I won't be de-boning any ducks or cooking any lobsters any time soon, but I loved the movie. 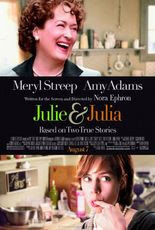 I know the Julie part is getting a lot of negative feedback from the critics, but I loved both of them ~ Julie & Julia. I'm looking forward to seeing it - but I'll wait untill it comes out on DVD since I think there are parts I might want to fast forward through! I love both actresses,can't wait to see it. Hi~~I ran across your blog recently and enjoy it very much! I look forward to seeing this movie...I love Meryl Streep! I've got a date with a friend to go see it this week! Can't wait! I hope to go and see it....we are a little behind on movies. We saw A Time Traveler's Wife, though and liked it!!! Thanks for the recommendation. I hope to go next week. Have a great evening! Glad to hear the good report on Julie and Julia - I am off to see it this afternoon. Thank you for the yummy coconut pie recipe - now that looks like something I can cook - not sure about de-boning a duck! Oh, I want to see this movie! I know this has got to be a good movie. I love the actresses and the folks its about. Love that pie. My husband and I went to see it Saturday. It was a great movie. I didn't realize she wasn't actually French! Loved the movie and reccomend it for sure! We loved it too. Thank you for your kind words about my aunt. How is your summer? Your son is getting ready to go back to school!! I'll have to watch this soon! I really enjoyed the movie too! Agreed with you about not deboning a duck but the butter definitely calling!! When I came back home afterwards I looked to see of the Julie and Julia Project blog was still up. Part of it was.... I had sense of deja vu, because what I was reading sounded so much like Julie in the movie! 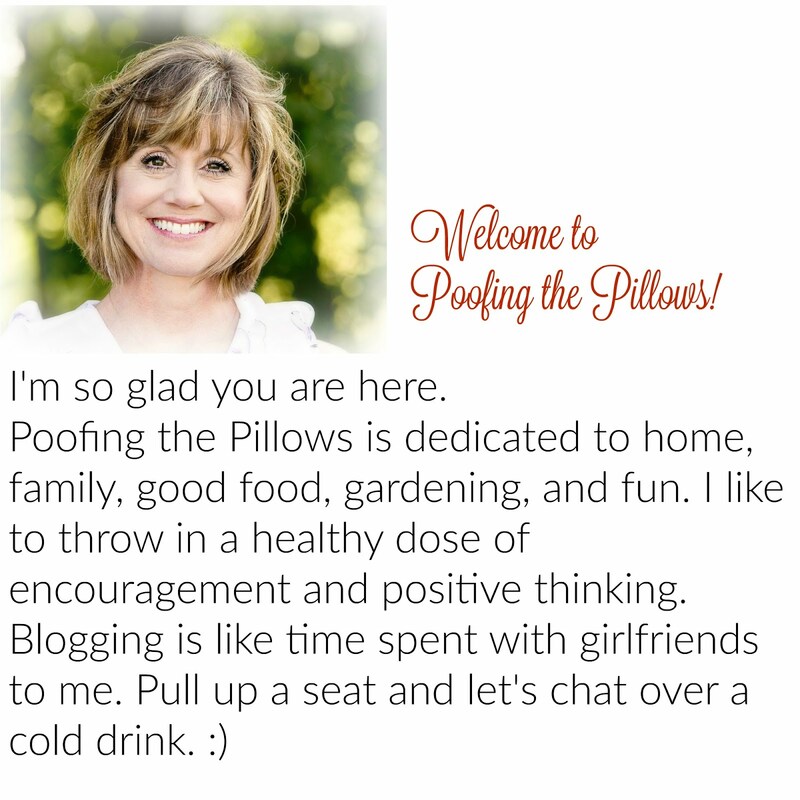 You've got a beautiful blog. My first time here I believe! I'm reading the book now and next Sunday will see the movie. I have only heard wonderful things about it. Butter ALWAYS speaks to me! I haven't seen the movie yet, but I'm dying to; for some reason, hubby isn't quite as enthusiastic.